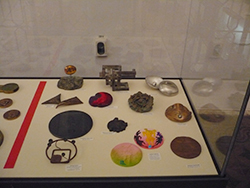 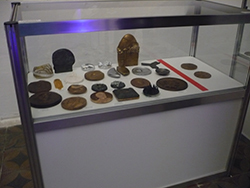 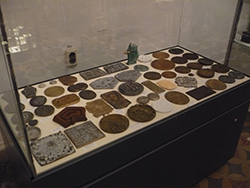 On 3rd September 2014, the official opening of the FIDEM exhibition was held at the National Archeological Museum in Sofia. 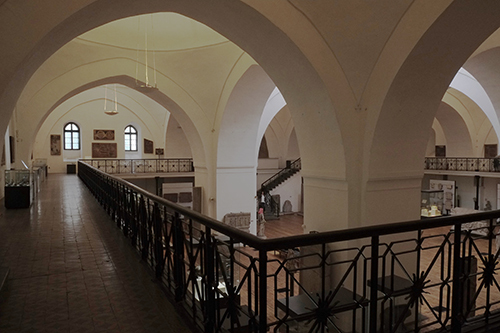 The building is the largest and oldest former Ottoman mosque in the city and was built around 1474. 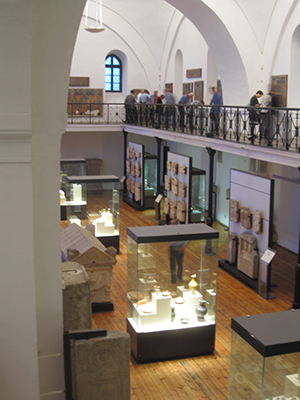 It became a museum in 1893. 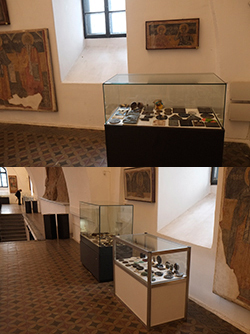 The FIDEM exhibition is located on the 1st floor with an overview of the big main hall. 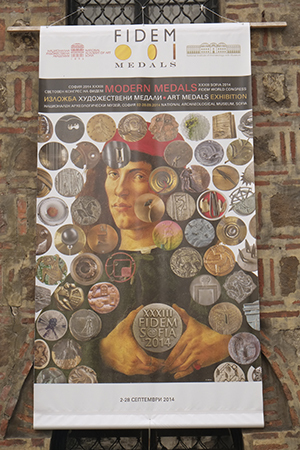 A nice walk along the medals displays with some Bulgarian icons lookig over the visitor is what the congress participants experienced that evening. 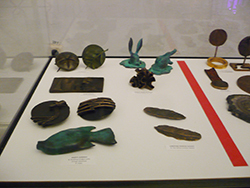 With this exhibition comes a catalogue of 292 pages including a CD where all the medals are depicted. 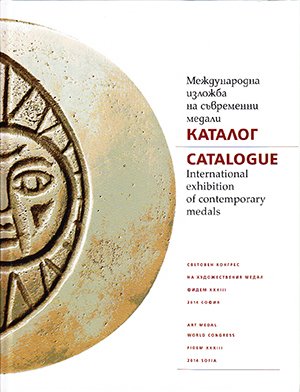 This catalogue can be purshased for 25€ (+ postage) and can be ordered via Prof. Bogomil Nikolov (e-mail: medalstudiosofia@gmail.com).